I love birds and my friend Esther loves planes, we both record sound and create soundscapes- but in very different ways. We first met in 2011 on an artist residency at CAMAC: Centre for Arts and Technology in France. After years of talking about working together, tonnes of email exchange, several visits and even a secret Facebook group, we finally got the chance to work together, for a week-long residency at Balfron Tower. 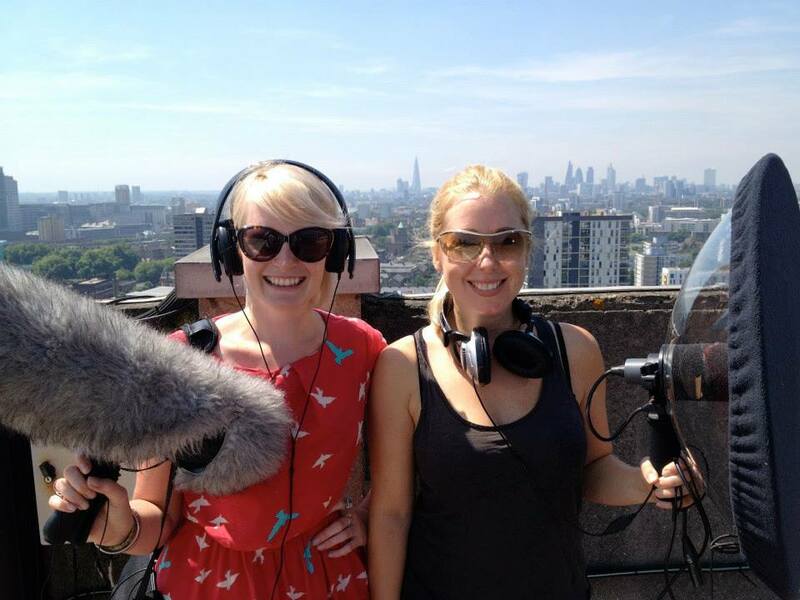 During our time together we captured the sounds of the skies, including the roof of the tower (25th floor! ), The East India Dock Basin, Bow Creek Ecology Park, London City Airport, the nearby bridge and more… thanks to Esther’s extensive knowledge of some great places to record sound. Our plan was to focus on hotspots where the sounds of birds and planes crossed over in and around Balfron Tower to create a series of soundscapes to be played in a ‘listening lounge’, as part of the ‘Balfron Season’ open studios in the tower, during September. The collaboration will continue (online) throughout July and August (whilst we exchange ideas, mark hotspots locations on maps and edit sound recordings together), for the production of a series of soundtracks. More information about the final installation coming soon… watch this space. Lucy and Esther formed their partnership at Camac Centre for Arts and Technology, France in 2011, creating a sound performance, titled Radio-Active, which explored the fusion and live mixing of sound worlds created by both artists throughout their residency. For their current collaboration, Lucy has taken up a micro-residency with Esther at the top of Balfron Tower in her live/work space. 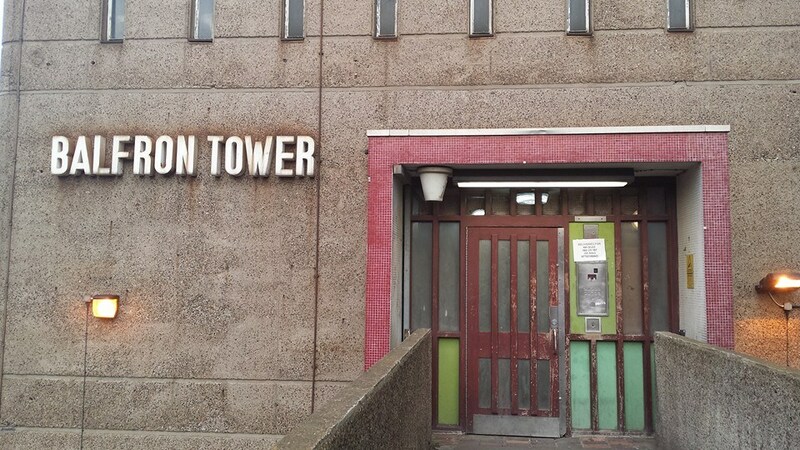 Working side by side, the duo are exploring and developing a new piece of work responding to the environment of Balfron Tower the Iconic tower block in East London, designed by Erno Goldfinger. With a birds eye view of the city, both artists will use the tower as a starting point and development space for the work, Esther, considering re-imaging the rhythms of the movement of the city through sound and Lucy identifying urban birds in flight and their behaviour within the city. These explorations will lead to the identification of a series of open spaces, or ‘hotspots’ around Balfron Tower where the duo have captured field recordings tracking the activity that occurs above the city, including plane flight and bird flight. The analysis of this information will culminate in a series of points where flight paths of man and nature overlap, including a selection of recordings focusing on what is heard from the tower itself from above the ground. The documentation of this work will lead to the composition of a soundscape, as well as a series of printed maps on which visitors can trace and listen to soundscapes that reflect different hotspots and recordings. This work will be on show during ‘Balfron Season’ Open Studios.